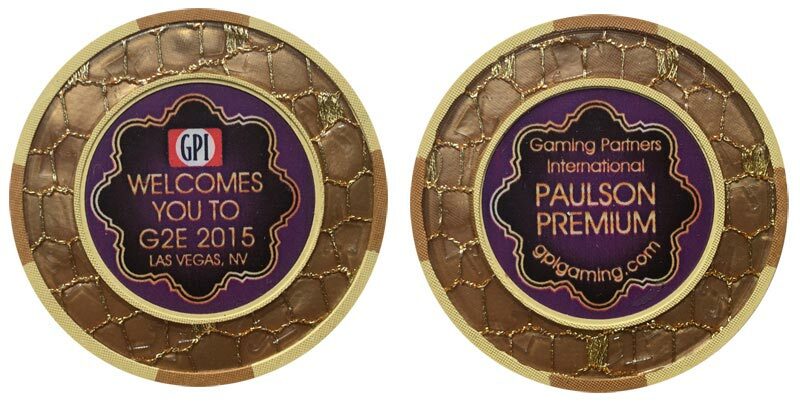 In September I attended the G2E convention in Las Vegas. 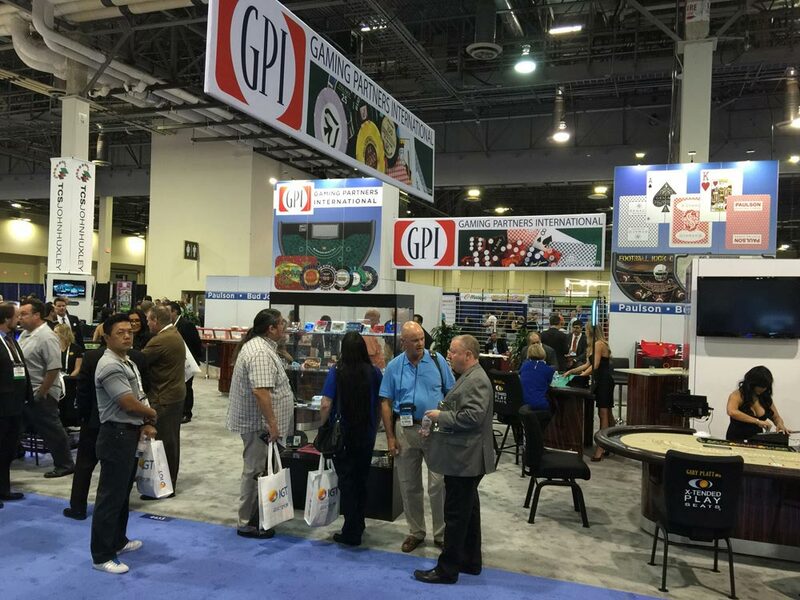 All the major vendors were there including Abbiati, GPI, & Matsui. Many were nice enough to give away many samples of their various products. The most interesting item I found is from Paulson’s new Premium line. It is a combination of a chip and jeton. If you look closely you can even see the Top Hat & Cane is molded into the acrylic area. It is quite a stunning piece. While I was there I talked to the head of North East Sales and asked if they would accept an order from our company. As expected they told me they are not interested at this time in dealing with the home market. Next year I will go back to the convention and ask again. You can count on them one day taking an order from us again!